New York & London: W. W. Norton & Company, 2012, Hardback in Dust Wrapper. From the cover: “The next big and murderous human pandemic, the one that kills us in millions, will be caused by a new disease — new to humans, anyway. The bug that’s responsible will be strange, unfamiliar, but it won’t come from outer space. Odds are that the killer pathogen — most likely a virus — will spill over into humans from a nonhuman animal. 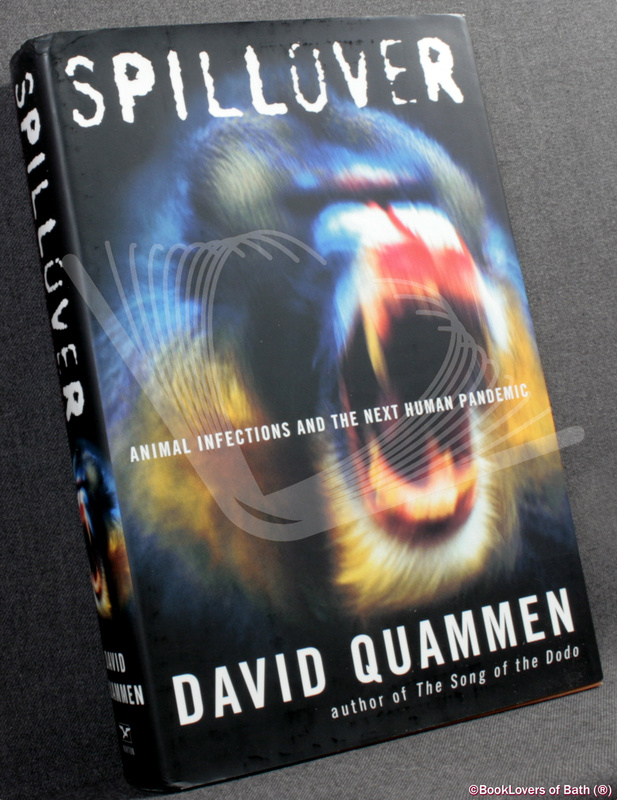 David Quammen’s Spillover is a “masterpiece of science reporting” (Walter Isaacson) that tracks this subject around the world. For five years, Quammen shadowed scientists into the field — a rooftop in Bangladesh, a forest in the Congo, a Chinese rat farm, a suburban woodland in Dutchess County, New York — and through their high-biosecurity laboratories. He interviewed survivors and gathered stories of the dead. He found surprises in the latest research, alarm among public health officials, and deep concern in the eyes of researchers. Spillover delivers the science, the history, the mystery, and the human anguish as page-turning drama. From what innocent creature, in what remote landscape, will the Next Big One emerge? A rodent in southern China? A monkey in West Africa? A bat in Malaysia that happens to roost above a pig farm from which hogs are exported to Singapore? In this age of speedy travel between dense human populations, an emerging disease can go global in hours. But where and how will it start? 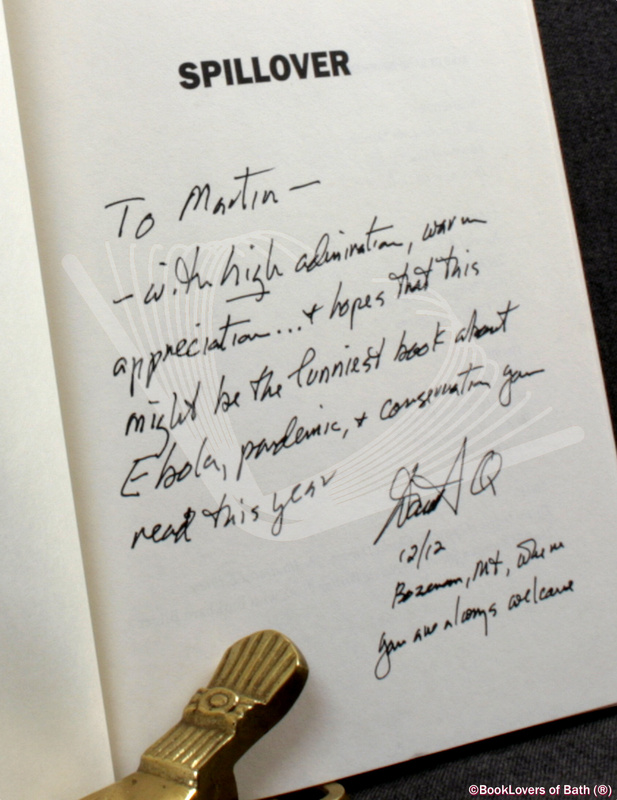 Recent outbreaks offer some guidance, and so Quammen traces the origins of Ebola, Marburg, SARS, avian influenza, Lyme disease, and other bizarre cases of spillover, including the grim, unexpected story of how AIDS began from a single Cameroonian chimpanzee. Size: 9½" x 6¼". Grey Spine Strip on Orange boards with Gilt titling to the Spine. 587 pages.